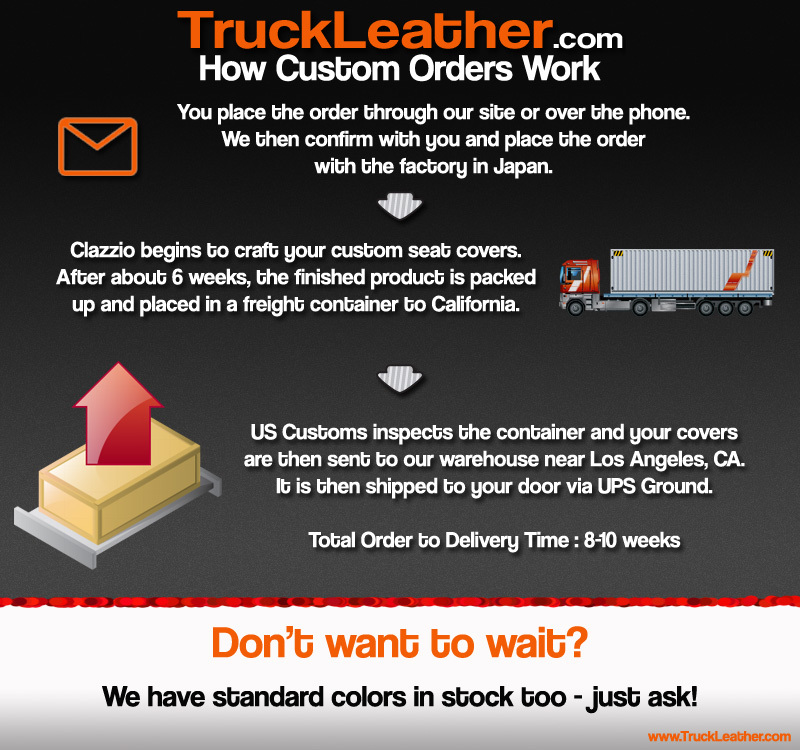 Getting that custom leather set of seat covers for your truck is easy. Check out the infographic above that explains the simple process. I handle it from start to finish and keep you updated on your order. Additionally, we have standard colors in stock for most of the popular trucks. Such standard colors would be all black, all gray, all beige, etc. Contact Us to find out if we have your set in stock today.